Since making its debut during World War II, the influenza vaccine has become one of the most heavily criticized immunizations. It is not just anti-vaxxers, even science advocates think it underperforms. The seasonal nature of the shot, as well as misinformation about its perceived toxins, have damaged the vaccine’s public image. But researchers are looking to change that, by trying to learn why we are failing to make a universal flu vaccine. As they write in Science Translational Medicine, they believe the solution may be found by studying an individual’s immune history. The research team investigated the response by B cells (the ones that make antibodies) to a conserved region of the flu virus’s HA antigen, which is the “H” part you may hear about in names of various flu strains, for example H1N1. But first, some background and perspective on why this is important and the barriers to uptake it faces. TV personality Bill Maher describes himself as pro-vaccine but is anti-flu shot. Some health care professionals — particularly nurses — have formed organizations as a response to hospital policies that require vaccines. They claim to be against forced vaccinations, but in reading their literature it’s clear that they are really just anti-flu shot. Some of the negative press “the jab” has garnered is understandable. In terms of protection against the virus, the vaccine is coming off a very poor year. Many opted against receiving the yearly shot, reasoning there’s no point given it might only work 40 percent of the time. Even pro-flu advocates agree that sometime the seasonal shot is not very good. What would solve all of those problems is a universal flu vaccine that works — and works well — for an extended period of time: A flu shot that has a profile similar to the measles and rubella vaccines, which are still 99 percent effective more than 20 years after the recipient receives the jab. Seasonal vaccines are made to target a region of the HA antigen that varies from year to year, but HA also has parts that do not vary much from year to year or from strain to strain. These conserved regions are therefore — in theory — an excellent target for a universal vaccine. The research team compared B cell response to the H1N1 flu strain from the 2009 pandemic. 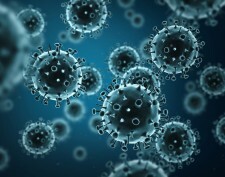 The results showed that people who had low preexisting amounts of antibodies against the H1N1 — i.e. those that were not exposed to virus — created a strong response to the conserved region of the HA antigen. However, those that had previously been exposed to the H1N1 had an antibody response that was dominated by antibodies against the variable regions of the HA. What complicates this finding is that most people, by virtue of having the flu or the flu shot, have antibodies against at least some strains of the flu. More research will determine why this happens and if it’s a factor in the response against other strains of the influenza virus. However, this study should not serve as a reason to give up chasing the universal vaccine. The very young do not have as significant an immune history as adults, and therefore this finding may not apply to a vaccine intended to be administered during early childhood. Originally published at the American Council on Science and Health. Read the original here.